Air filter gasket for the Weber DCOE45 and DCOE48 carburetors. 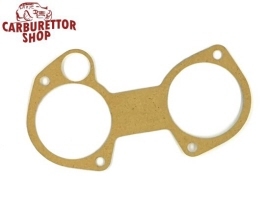 This gasket is placed in between the carburettor and the aircleaner housing. Also fits the Dellorto DHLA45 and DHLA48.